Week 6 (May 10-16) ––Seeing the Potential — Recognizing the potential of the orality movement that lies within the next generation. Jesus instructed the disciples to ‘tarry’ in Jerusalem. The Greek word for tarry translated is kathizo [Strong’s Concordance #G2523], which means to sit down. Jesus was instructing the restless disciples to relax and wait in Jerusalem until they received the power of God. After that is when they could go out and preach the gospel to the world with effectiveness! He knew the plan. He just needed them to submit to the plan and have the want to follow and obey. It was upon them and the coming time was now with them, when a new generation was to take the lead. The potential of this group was worth the time that Jesus had invested in them. The Father knew what they could do. The same is true for today. We too, need to step into place and be ready to see the next generation be ready to carry the message. It will take some transition of mindsets, it will take time. But it is coming. It will also take a willingness for us to be ready to receive those that God is touching for such a time as this. JD Payne recently wrote and did a podcast on the Power of the Ordinary. Check it out and see if it strikes a note in your heart for what God might be doing. If the first century disciples approached disciple making and church planting with the complexity we have in the West, the gospel would have never left the Middle East. We want reach the world with the extraordinary working through complexity. But what if the way to reach the nations is not through such means? What if in our Father’s economy the primary way to accomplish the extraordinary is through the simple and ordinary? 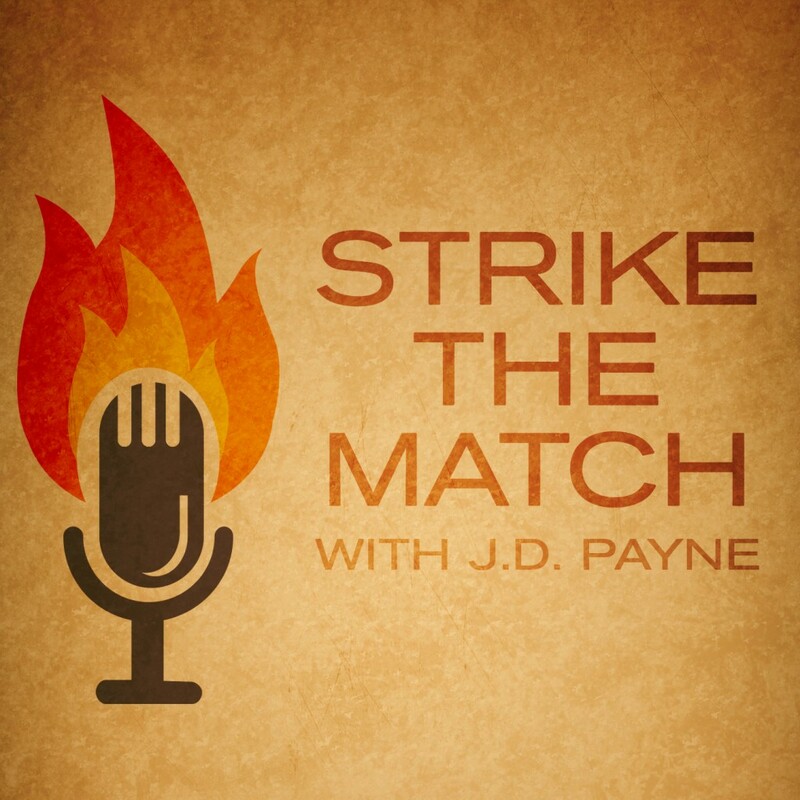 In this episode of Strike the Match, I talk about these matters and that the complexity in the Kingdom is found in the King, not His commands. The extraordinary is found in the King, not His followers’ intellect, leadership capacity, experience, degrees, or charisma. The ordinary once turned the world upside down (Acts 17:6). The ordinary was responsible for the Word of the Lord going forth everywhere (1 Thes 1:8). May we be willing to allow our extraordinary God to use the power of the ordinary to bring His plan and purposes. We too must be willing to just follow and obey, even when we do not know the plan. ION has been in a season of waiting and praying during this 50 days to Pentecost. Are you getting a sense of expectation as to what is to come? It will take all of us standing together, in faith. Ready to receive. . . It will take a fresh outpouring of the Holy Spirit to carry His message into the hardest and toughest places on the earth that are left. The body of Christ is well equipped at this time, the same way they were in the first century. Let’s pray that we will work together in monumental ways and step up to trust Him and believe that He will move. Let us pray: Recognizing the power of following the King. Seeing the potential of the orality movement that lies within the ordinary that allow the extraordinary God to work. We pray now for the next generation. Acknowledging for the distant near future of the time when they must take the lead. We are asking for a greater portion of trust in you and in your purposes. We are so grateful for the generations that have gone before us. Let us, with a grateful heart pray for those that are being set in place to serve into the future. Fully trusting in God’s ability to draw people to Himself -John 6:44. Trusting as God reveals spiritual truth -Matt. 16:17; John 14:26; 16:13. Standing firm that God convicts about sin -John 16:8-9. Bowing down in humble submission as God convicts about righteousness and brings His own into right standing -John 16:8,10. Knowing that He is just and will bring conviction about judgment -John 16:8,11. Give us the mind of Christ and the desire to ask for the vision of God. Lord help us to receive those that are going to be needed in this next season. Bring those with technology skills and gifts of teaching. Bring those who are oral learners and who will understand the centrality of the WORD in everything. Let us have the common sense, a sanctified common sense to know the times. We are in need of different skill-sets and the need to pass on the skill-sets that are currently in place. We are asking for a great portion of desire to see the generations walk together into the future. May these coming years be known as a new phenomena and modeling of the generations serving side by side in every nation. For your glory Father we pray. · The disciples used ordinary sanctified common sense. Let us be people of the Word, using ordinary sanctified common sense. This entry was posted in Prayer for the Oral Bible-less Peoples, UUPG/Bible-less Oral Peoples Prayer Initiatives and tagged #honorshame, #makingdisciples, Bible-less, Bible-less Oral Peoples, followers of Jesus, mobile ministry, Oral Bible-less Peoples, oral peoples, orality, orality tools, Pentecost, Prayer, prayer as a strategy, Prayer Initiative, The disciples, Unreached Unengaged People Groups, UUPG. Bookmark the permalink.